Evidence-based recommendations can help improve policies and institutions for governance of natural resources. WLE is working to transform its evidence base into actionable, clear recommendations that will improve the sustainability and equity of natural resources management globally. And our evidence and solutions have fed into government policies around the world. The key to sustainable development may be equitable governance of natural resources, including land and water. WLE provides insights into how governance structures can be improved, to the benefits of both farmers and the environment. Hidden from the eye beneath the Earth's surface in soil pore spaces and in fractures of rock formations, groundwater supports global food security, contributes to public health, and is a critical factor in economic growth. With growing variability and uncertainty across all sectors, making wise development and investment decisions is becoming increasingly difficult. WLE is developing new decision-support tools and approaches to increase the chance of making decisions that result in positive outcomes. The application of alternative modeling approaches, such as decision analysis approaches being piloted by WLE researchers, could be expanded to help bridge the social and biological strengths of the IUCN to help promote both conservation and livelihoods. The challenge of governing water resources is compounded when river basins or watersheds stretch across national borders, with multiple countries having different, and sometimes competing, interests. 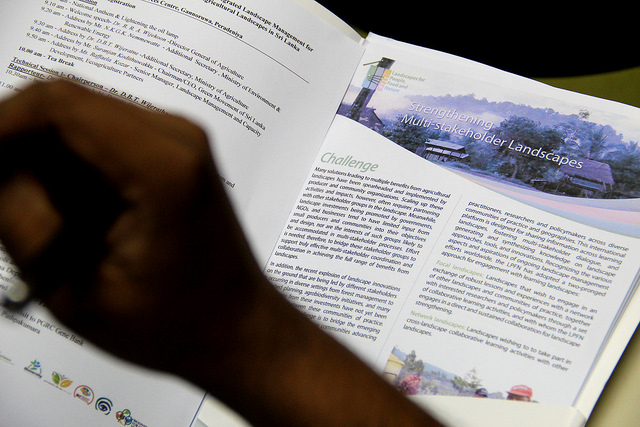 WLE is working with stakeholders to find better ways to govern transboundary water resources, including through inclusive, participatory approaches. At the CSA Investment Advantage event, part of the larger Agriculture Advantage 2.0 event series at COP24, WLE/IWMI and others discussed ways to identify best-bet CSA technologies and practices for investment. The Policy Advantage event, part of the larger Agriculture Advantage 2.0 event series at COP24, brought together WLE/IWMI and other diverse perspectives on the policy change needed for food systems transformation.